Use of low quality in Vitro Diagnostics in resource poor countries: who will bell the cat? Tilovatul Khondaker Department Virology, Bangabandhu Sheikh Mujib Medical University (BSMMU) Dhaka, Bangladesh. Nazia Hasan Khan Department Virology, Bangabandhu Sheikh Mujib Medical University (BSMMU) Dhaka, Bangladesh. Arifa Akram Department Virology, Bangabandhu Sheikh Mujib Medical University (BSMMU) Dhaka, Bangladesh. Nusrat Mannan Department Virology, Bangabandhu Sheikh Mujib Medical University (BSMMU) Dhaka, Bangladesh. 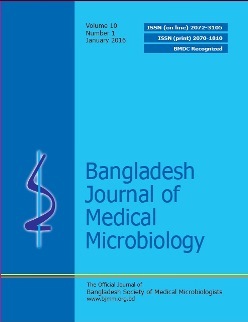 Saif Ullah Munshi Department Virology, Bangabandhu Sheikh Mujib Medical University (BSMMU) Dhaka, Bangladesh. Keywords: In vitro diagnostics, Low quality, Resource poor countries.